With its 640×480 VOx Display Resolution, You will be getting the Most Effective Night Vision Tool for Hunting on the market. 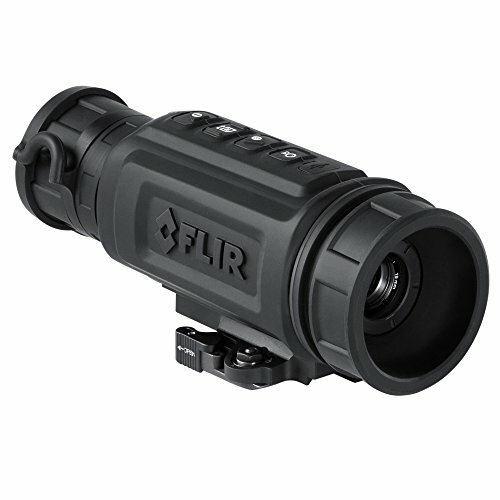 Built by the leader in infrared technology, the FLIR ThermoSight R-Series is the world’s first line of thermal night vision rifle scopes for non-game hunting. Compact and easy-to-use, the ThermoSight R-Series combines the features you want with the thermal performance you expect. The ThermoSight R-Series is the ideal night vision scope because it detects heat energy, instead of light. Conventional image intensified (I2) night vision scopes require illumination from moonlight or other sources, and can’t reveal what’s hiding in the shadows or in low-contrast environments like the R-Series. The scope optimizes images automatically using FLIR’s own advanced image correction technology. And a simple four-button design and menu interface lets you adjust zoom in one click and all other settings in three clicks or less.